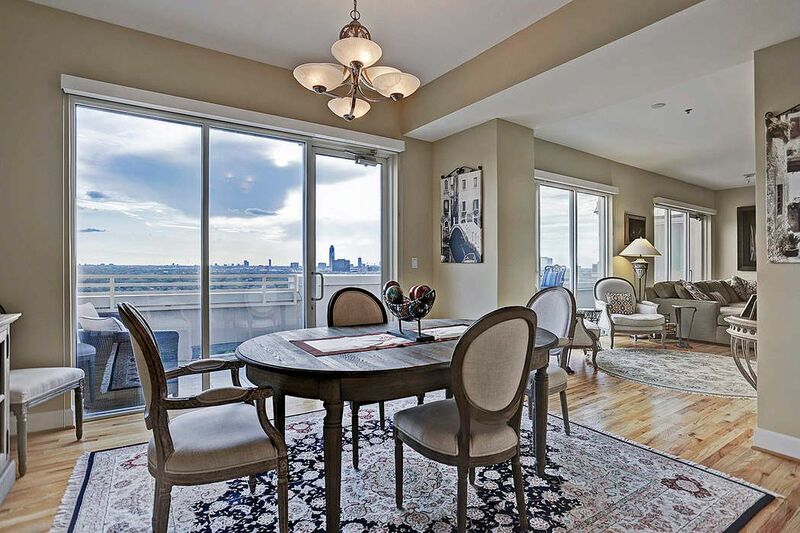 2520 Robinhood Street Unit 1604, Houston, TX 77005 | Martha Turner Sotheby's International Realty, Inc. 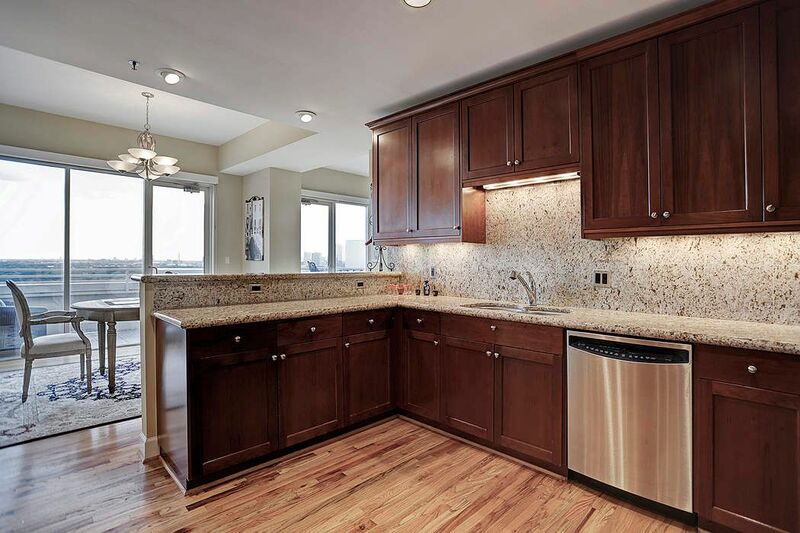 The hardwoods extend to the kitchen and are a perfect foil to the rcih cabinetry, granite coutertops, glass tile backsplash and stainless steel appliances. Views from the kitchen looking over the dining room and out to the balcony. Unusually large for many condos, this kitchen is a true chef's delight. Granite counter tops, glass tile backsplash, stainless steel appliances and rich cabinetry. This view shows the size of the living room and has the sparkling buildings of Greenway Plaza as a backdrop. Comfortable sitting area between the dining room and living room. This area can be used in any number of ways - great space for a piano, game table, the options are endless. What views from the spacious secondary bedroom! 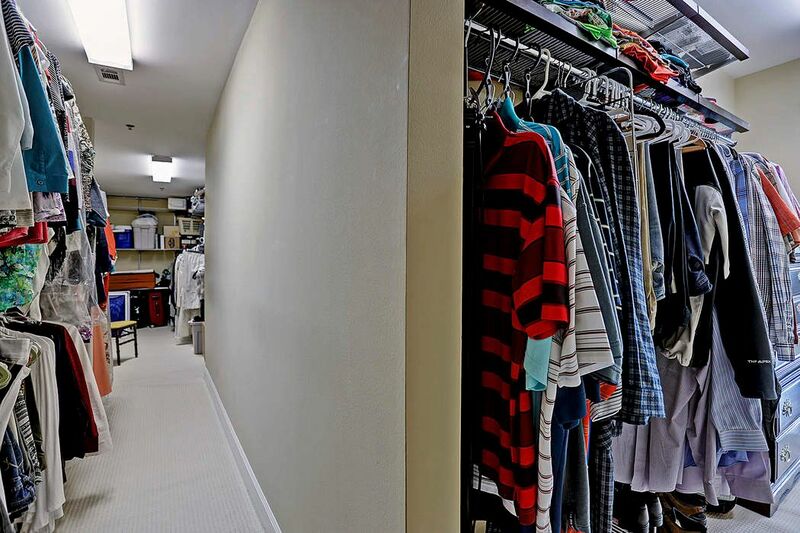 The room has gleaming hardwoods and a large closet. Full bathroom adjoins the room. 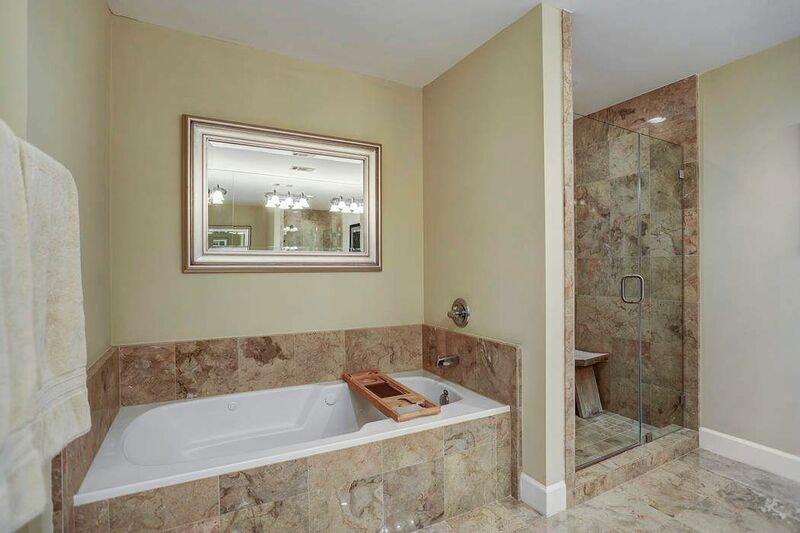 Full secondary bath with travertine tile, granite counter tops and full mirror. 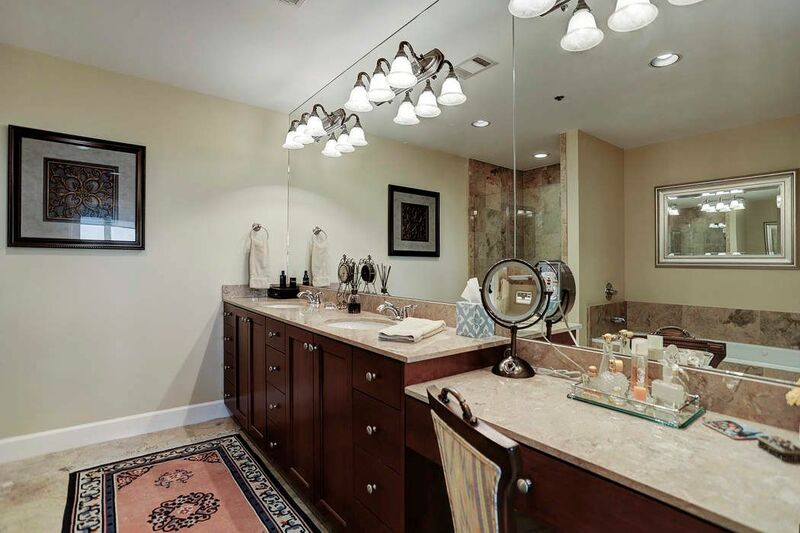 Roomy master bath with stylish finishes - travertine tile, granite counter tops and rich wood cabinetry. 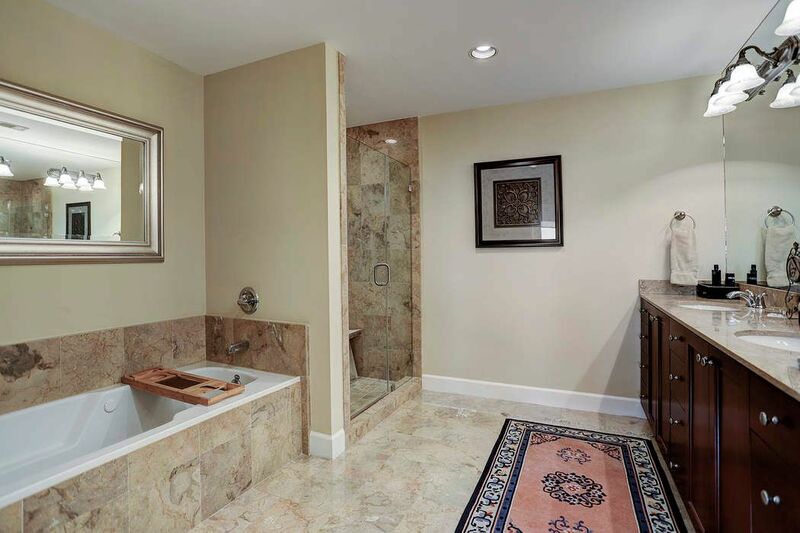 Master baths this comfortable can be hard in a high rise. A truly spectacular master closet, the L-shaped space has custom adjustable shelving, multiple hanging options and space for dressers. A true luxury! This cozy sitting area in the master bedroom, bathed in sunlight. 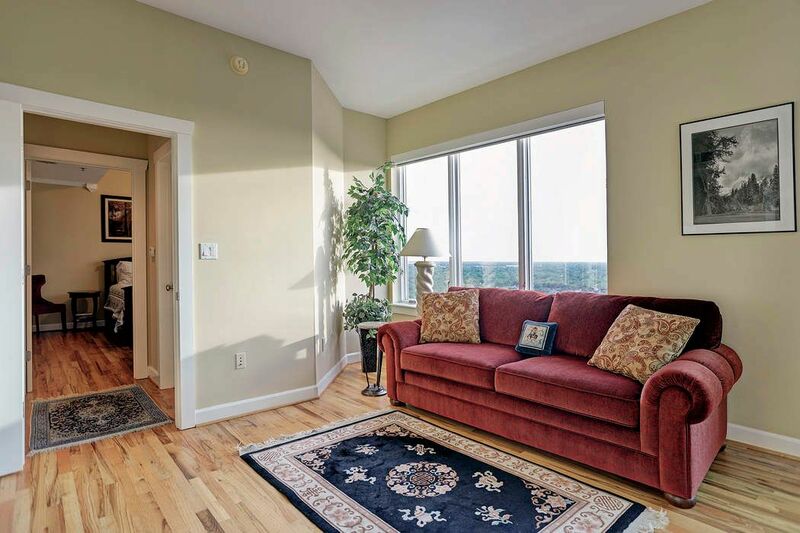 Spacious rooms with beautiful floors and ambient light are a hallmark of this condo. The spacious study is accessed via the living room. Glass door provide privacy. 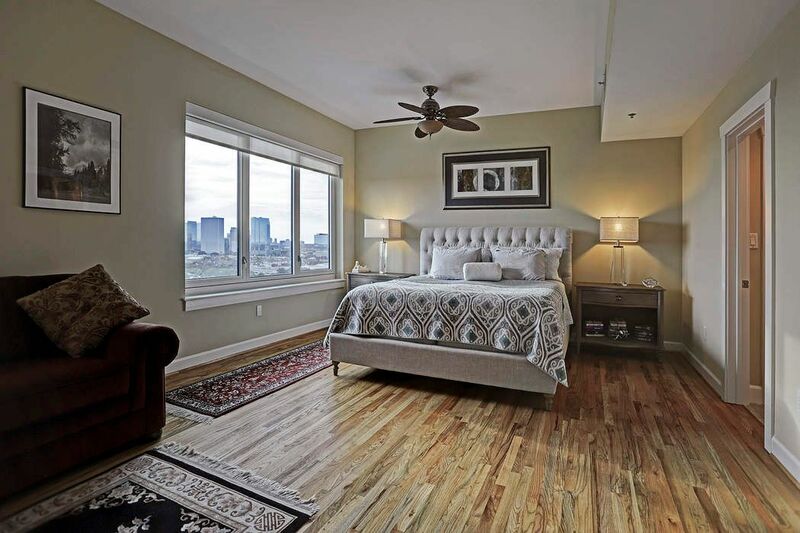 $445,000 2 Bedrooms2 Full / 1 Partial Baths2,452 sq. 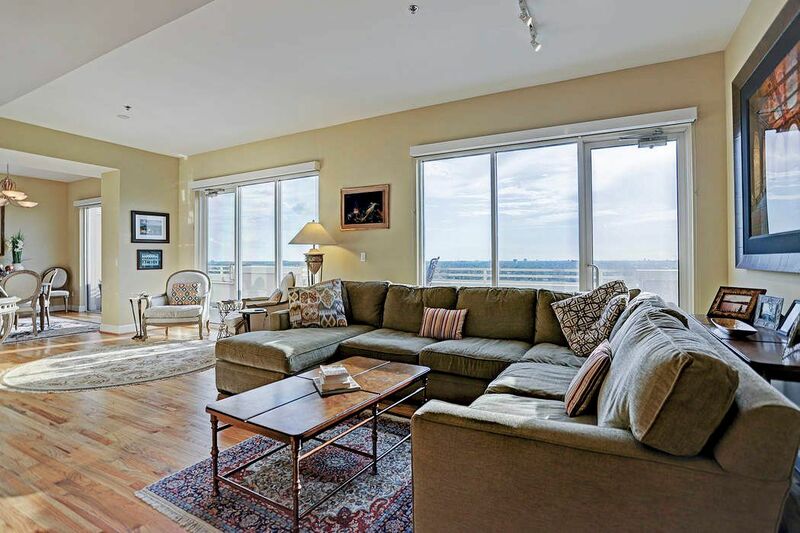 ft.
Rise above it all in this remarkably priced condo in the heart of West U. 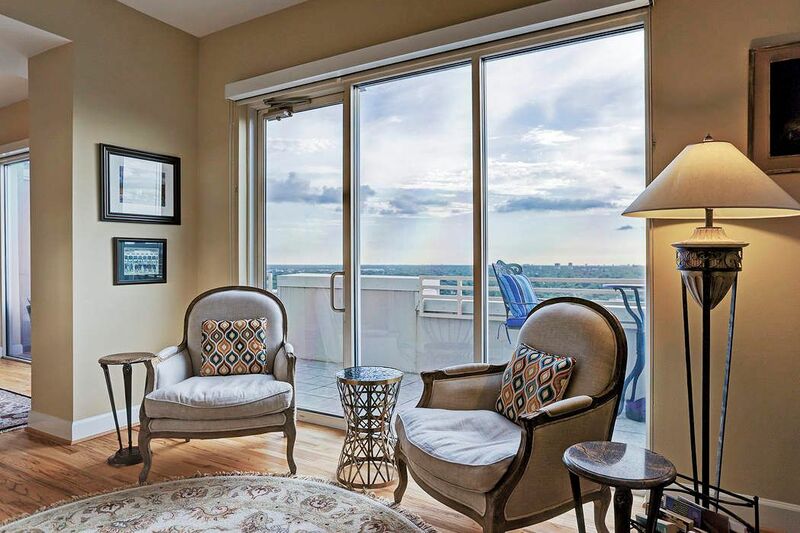 The 16th-story apartment boasts spectacular western views enjoyed from the large balcony or from the walls of windows throughout the home. 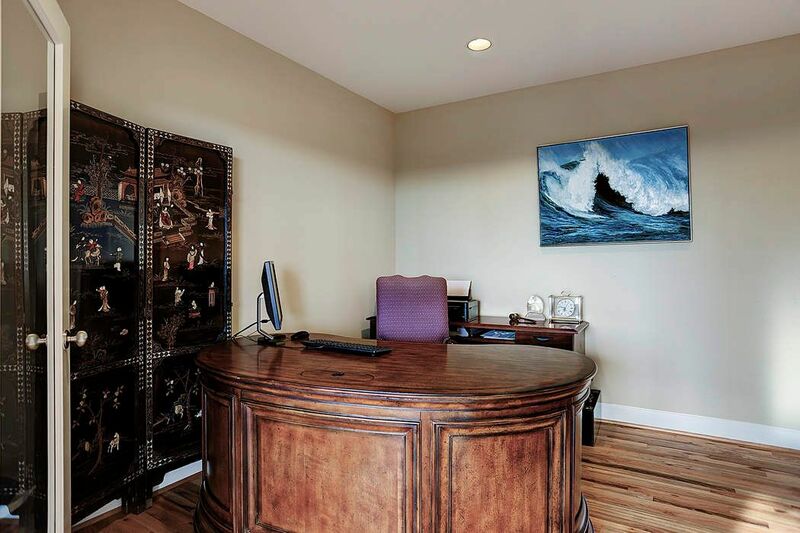 Two story, with bedrooms upstairs, there is also a large study located on the lower floor. 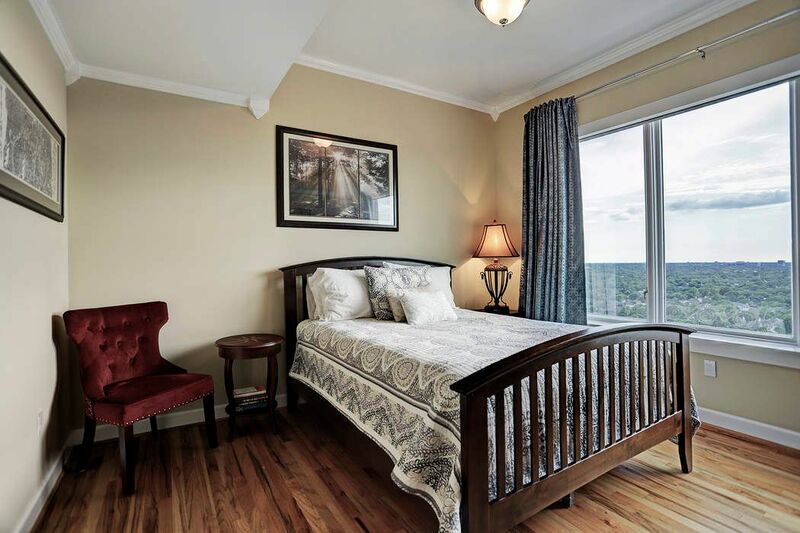 Master suite is large enough for a separate sitting area, boasts an extra huge closet and dual sinks, jetted tub, shower with seamless glass and granite counter tops in the bath. 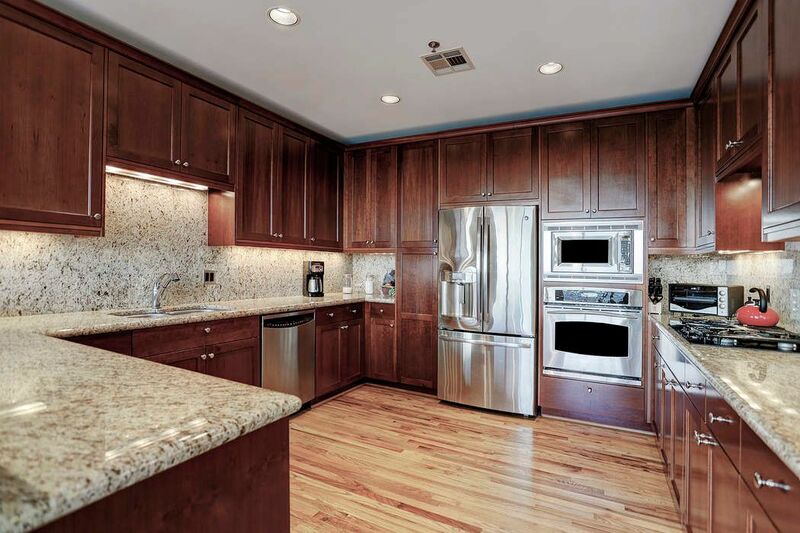 Chef’s kitchen has beautiful views, granite counter tops, stainless steel appliances and plenty of storage space. Gleaming hardwoods throughout. Per seller, AC compressors, hot water heater and all toilets are new. The unit has two assigned parking spaces. The building includes a pool, workout center, concierge and easy access to shopping and restaurants right out the front door. Extremely well priced for the size and location.